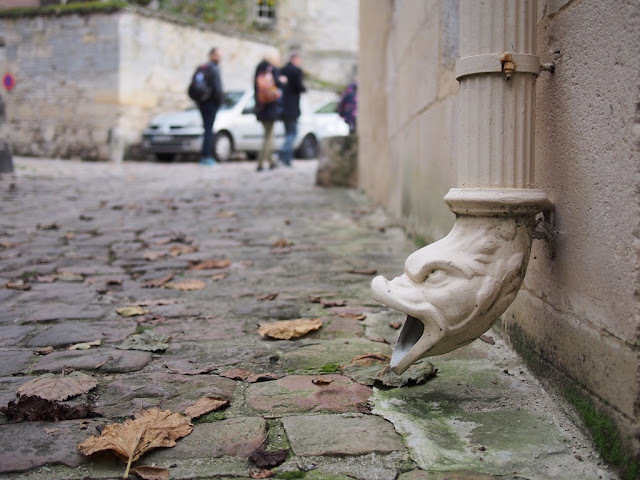 France: the Medieval Village of Senlis- Do the White Thing! 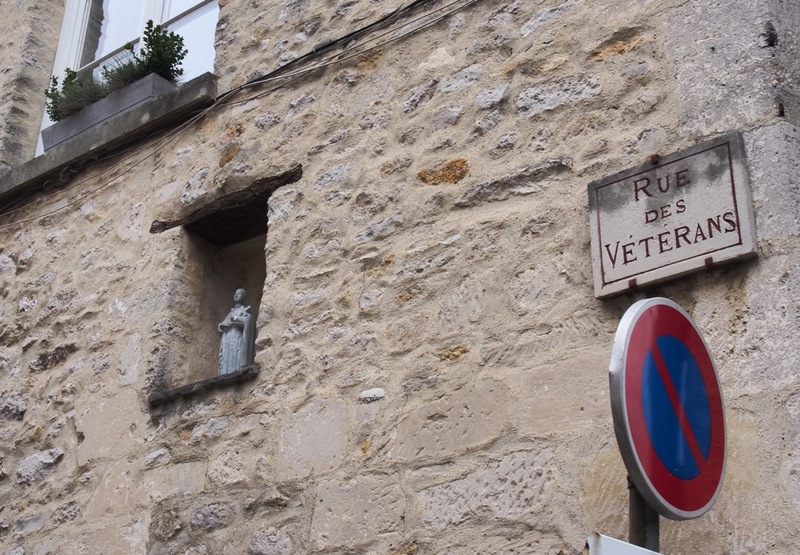 A small, white, medieval village just north of Paris. 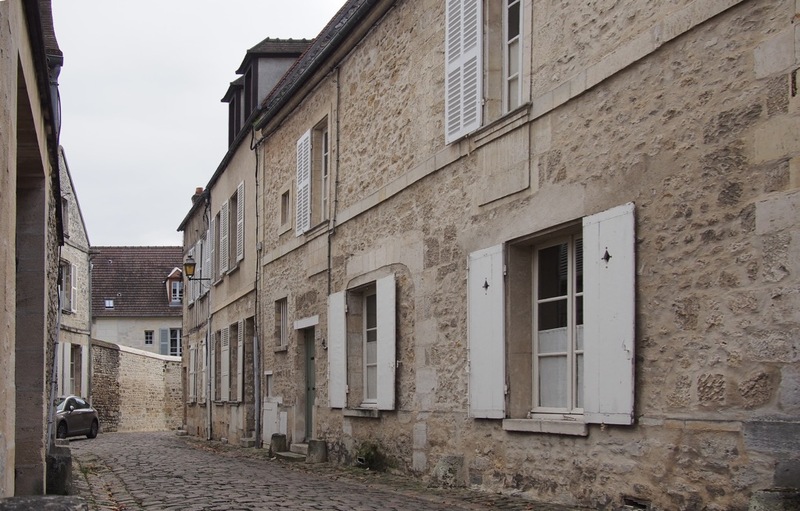 Senlis makes a great contrast with the City of Lights. It's got small cobblestone streets. Cutesy little houses. And lots of white. As a matter of fact there's so much white you'd think there's some kind of regulation in place that states you can pick any colour you like for your shutters, as long as it's white. Henry Ford would have approved of this principle. 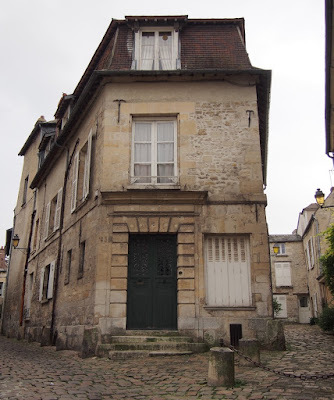 But the long and short of it is that Senlis makes a delightful day trip from Paris, swapping Le Big Smoke for some picturesque countryside. 40 km north of Paris. Map. 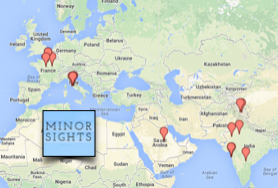 AT MINOR SIGHTS we like our sights colour-coded. The blue alleys of Jodhpur. The reddish bricks of Amsterdam. 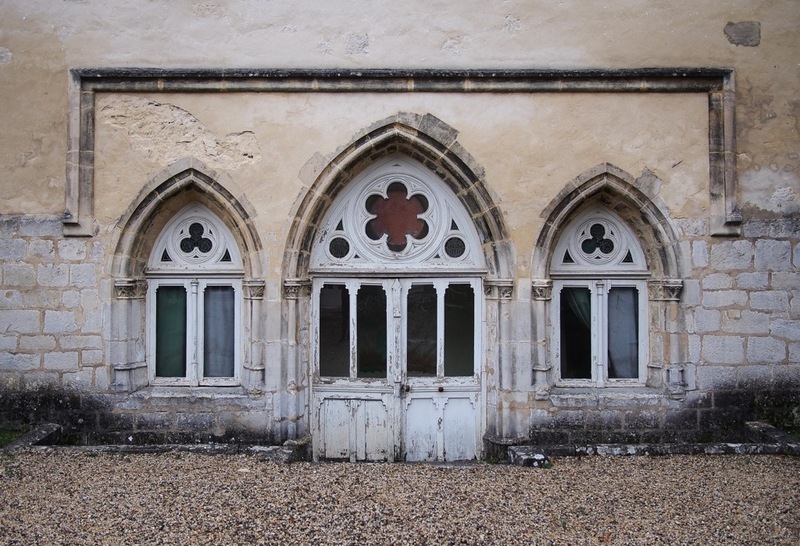 And the white stones and shutters of Senlis. 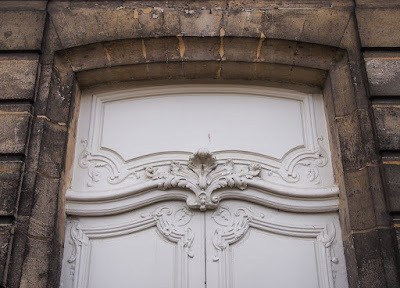 We have no idea why Senlis ended up with all these white touches. French municipal city planners are notorious for their strict rules and regulations (just ask Baron Haussmann.) Senlis's colour coding may have its origin in the local stone, which is mostly a whitish grey in colour. But its citizenry could have picked a different tone for the accents. Like red. Or green. Or pink. But they did't. Even the dogs are subject to strict colour regulations! Apart from the strict colour code, there are other things that make Senlis ridiculously picturesque. Mostly the town's medieval buildings: back when a few hundred inhabitants was enough to qualify as a major town, Senlis was a regional metropolis of sorts, with various French Royals being regular visitors. 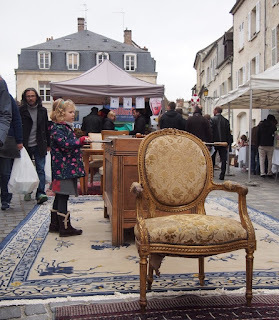 Sunday flea market. We apologize for the colour of the chair. The old town forms a coherent ensemble that's a delight to wander around, with plenty of medieval eye candy, from churches to a royal castle. 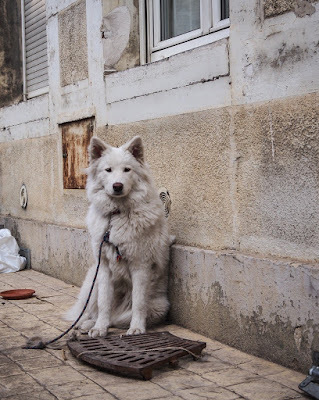 And all those white shutters of course! 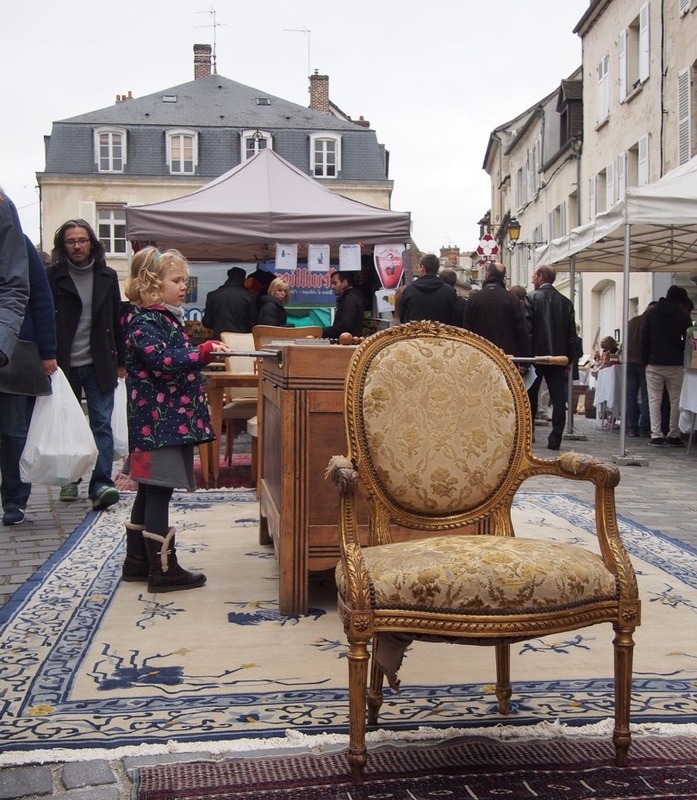 Senlis can get pretty busy at the weekend, as it offers an easy escape for city folk looking for some fresh air and a village stroll. If you stay overnight or visit during the week you can avoid the Parisian hoi-polloi. 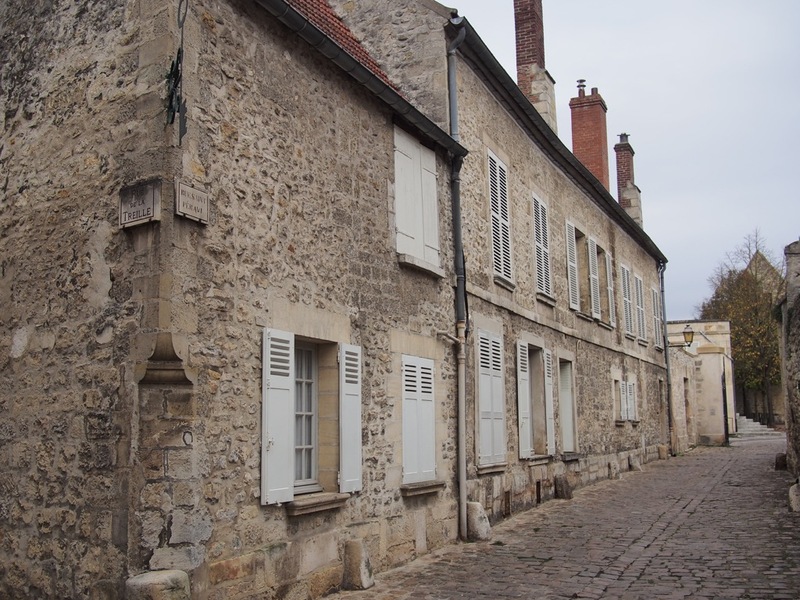 Senlis is easily reached by car, 50km or so north following the A1. It is slightly more complicated by public transport as there is no direct rail link. However, there is only one change and it is not difficult. 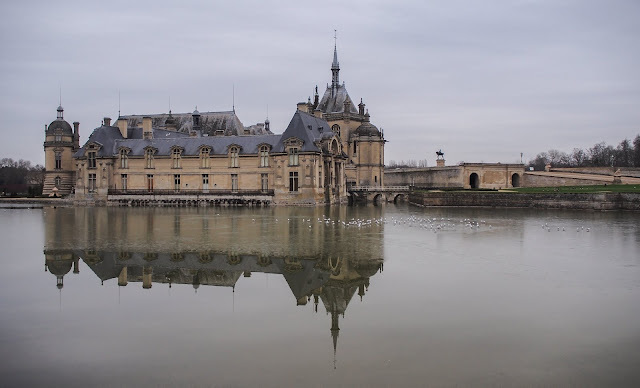 Trains leave from Gare du Nord and you alight at Chantilly. Once there you change to a bus to Senlis. If you purchase a ticket from Paris all the way to Senlis you will not need to buy a separate bus ticket in Chantilly. Ironically, the main bus stop for Senlis is the now abandoned train station. From here it is a short walk into the main old section of the town.